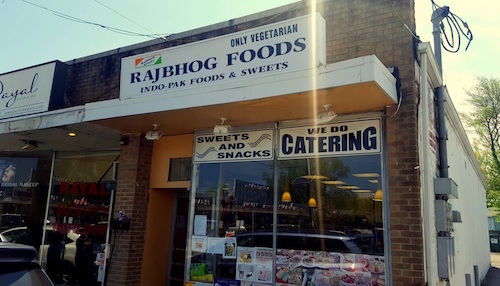 Rajbhog is a well known name in South Asian groceries, with other locations in New Jersey, some in Queens, and as far away as Duluth, Georgia. The packaged goods always look like they are made in house, but must come from a wholesale importer. Some of these shops also have attached cafes or sweet shops, which are run by a local proprietor. The proprietor of the shop in Iselin, New Jersey is a pushy man, he kept trying to upsell us, and then did the "just thinking" routine you see all over India. It was almost like traveling! 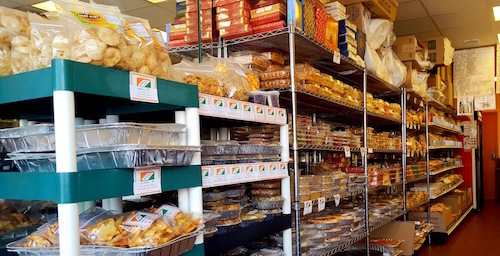 We were really only here to sample a couple things though, as we had our eyes on so many chaat vendors up and down Oak Tree Road. A sign in the window declaring "Today's Special" to be chole bhatura ($6.99) was what we listened to, and were rewarded with a wonderful rendition. 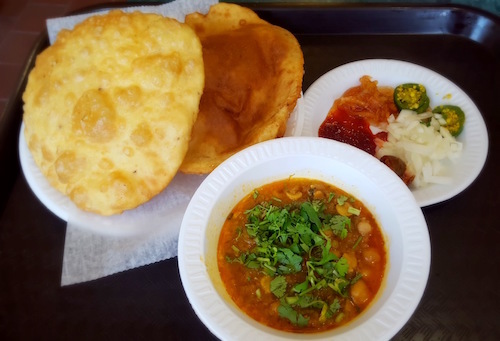 It is a simple snack usually served for breakfast in India, consisting of fried bread and chana masala. It also comes with a plate full of bonus flavors you can add to your mix, sweet, pickley, sharp, and spicy. 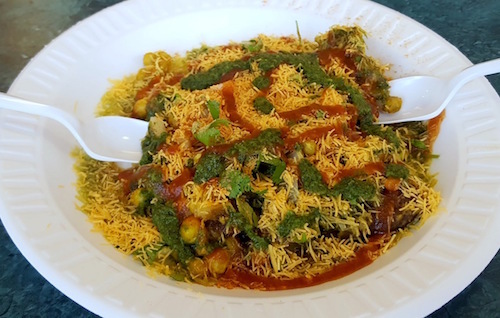 In addition, we also chose the ragda patice chaat ($4.99, below), which uses potato patties (patice) as its base. Combined with all the usual suspects of chaat, there are flavors for all sides of your tongue and textures for all your teeth. 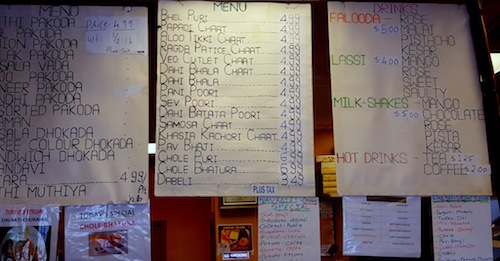 To be frank though, on a future visit I might lay off the chaat here and focus on some of the other items that are unfamiliar. Some of the groceries seem quite expensive while some seem very cheap. The racks are definitely worth perusing. 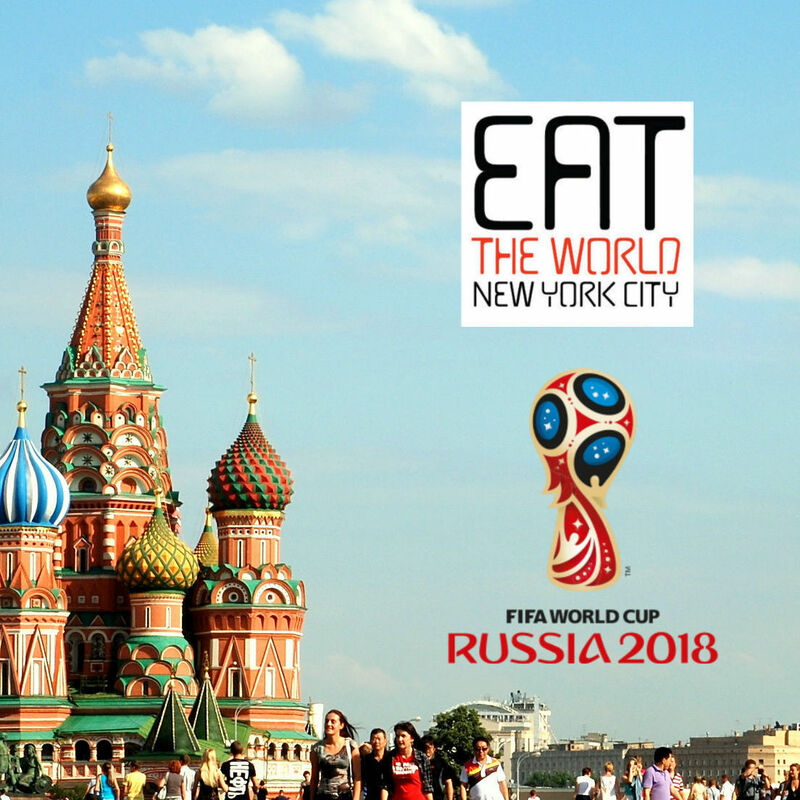 Let us know if you try something of note!